Born on August 6, 1926, to Fred and Kathryn Lage of Gladbrook, he attended country school and graduated from Gladbrook High School. He married Thelma R. Reinig in 1946 and they farmed north of Gladbrook on a Centennial Farm for over 40 years. He also started Lage Products Company, a manufacturing business on the farm. 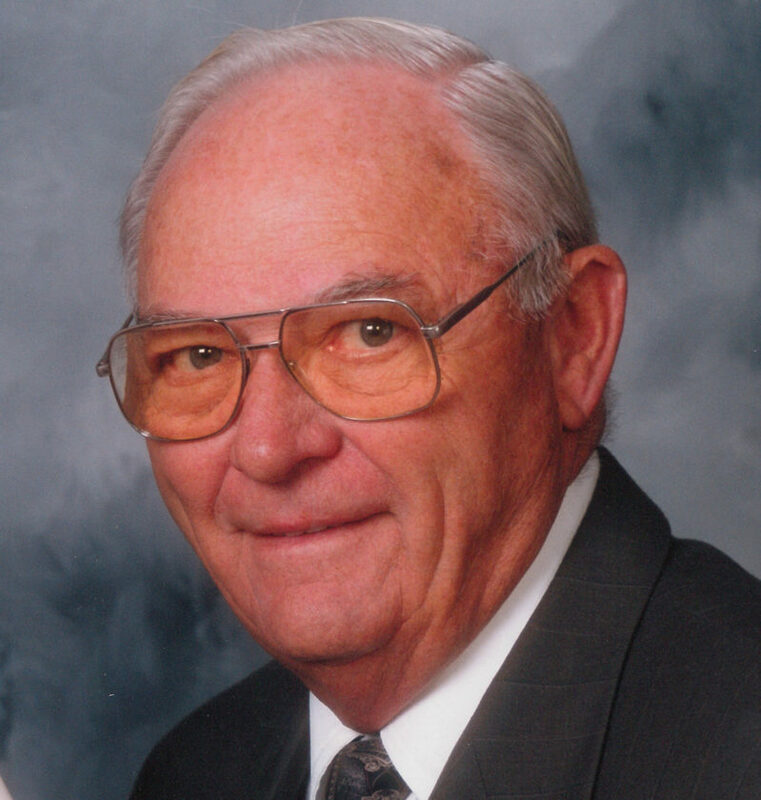 He was very active in his community, involved in the nursing home, bowling alley, senior housing, a charter member of the Gladbrook Lions Club and many other activities benefiting the community. Very few Corn Carnival parades passed without his contribution to a float, including the largest mobile ear of corn. He also generated lots of enthusiasm with crowds by “creating” pennies with a machine he designed with his dad. He was an active member of the Salem Church in Lincoln, involved as an elder and trustee and in many improvement projects over the years. He was passionate about fishing and had a long list of fishing buddies. He shared his catch with the Gladbrook community by hosting fish fry’s. He enjoyed traveling in his motor home and had many friends all over the United States. He had very fond memories of mission trips he spent in Guatemala and Peru, using his mechanical talents to benefit the needs of many. Preceding him in death were his parents, his brother Leon; his wife Thelma and his nephew Alan Lage. Surviving him are his daughters: Leanna (Doug) Darnold, of Gladbrook, Dot (Ruben) Nevarez, of Poway, California, and Lori (David) Parker, of Lincoln, Nebraska; his grandchildren: Todd (Stacy) Darnold, Katie Darnold, Ryan Nevarez, Elizabeth Nevarez, Nathan (Katie) Parker, Brent Parker and four great-grandchildren.